In this series of messages, Pastor Ken share with us how we can be overcomers in a world that is uncertan and unstable with constant changing values. 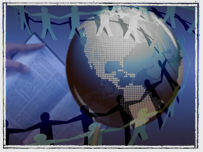 How should we as Christians live and share our faith in a non-christian world? These are the areas that will be explored in this series of messages. 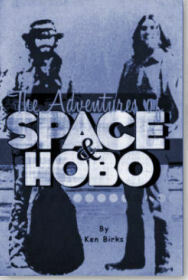 The Adventures of Space and Hobo tell the story of Ken’s vagabond life after Vietnam. It explores the on-the-ground confusion and chaos of the Vietnam War and its effects on a generation, and those who served. Today’s world is fast becoming a very frustrating place to live and maintain any sense of security and comfort. But in Jesus we have hope, a hope that does not fade away. Some of us grew up with a paradigm that looked at the world with hope, anticipation, potential, growth, etc. We saw opportunities that were there if we wanted them. Youth growing up in today’s world do not see these same opportunities. They are trying to adjust and adapt to a world that has gone wrong. Today's generation expresses the uncertainty of the world in which we all live in. As Christians, do we have hope? Is there a certainty that God wants us to walk in? I believe there is. We Must Hold Fast to Our Confession of Hope. Through the Word of God we are given many promises of God’s provision for our lives. We must center our lives around what God’s Word says to us not what the conditions of the world are saying. The Word of God is the truth that we must align our confession and faith with. 2 Peter 1:3-4 …as His divine power has given to us all things that pertain to life and godliness, through the knowledge of Him who called us by glory and virtue, 4by which have been given to us exceedingly great and precious promises, that through these you may be partakers of the divine nature, having escaped the corruption that is in the world through lust. If you are already a Facebook member, I encourage you to become a fan of Sowing Seeds of Faith by clicking on the like button to the right. If not, bookmark this page, and you will receive the updates every day as well. You will receive an encouraging devotional word of faith each day on your home page of Facebook or in the column to the right. May God bless you richly. Don’t Let Possessions Become Your Center of Focus. We must not allow ourselves to get sucked into measuring our success and possessions according to worldly standards. God’s standards are altogether different. In the world, possessions are the center of most people’s focus. We cannot afford to be conformed to the world in this area otherwise our focus gets turned to what we don’t have rather than what God wants to pour into our lives through His promises. Live For God’s Will and Purpose. James 4:13-15 Come now, you who say, "Today or tomorrow we will go to such and such a city, spend a year there, buy and sell, and make a profit"; 14whereas you do not know what will happen tomorrow. For what is your life? It is even a vapor that appears for a little time and then vanishes away. 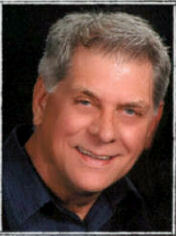 15Instead you ought to say, "If the Lord wills, we shall live and do this or that."